On Tuesday 14 October 2014 I attended the Nottingham Community and Voluntary Service’s (NCVS) Annual Event at their offices on Mansfield Road. What a great way to meet with people from various organisations across Nottingham. 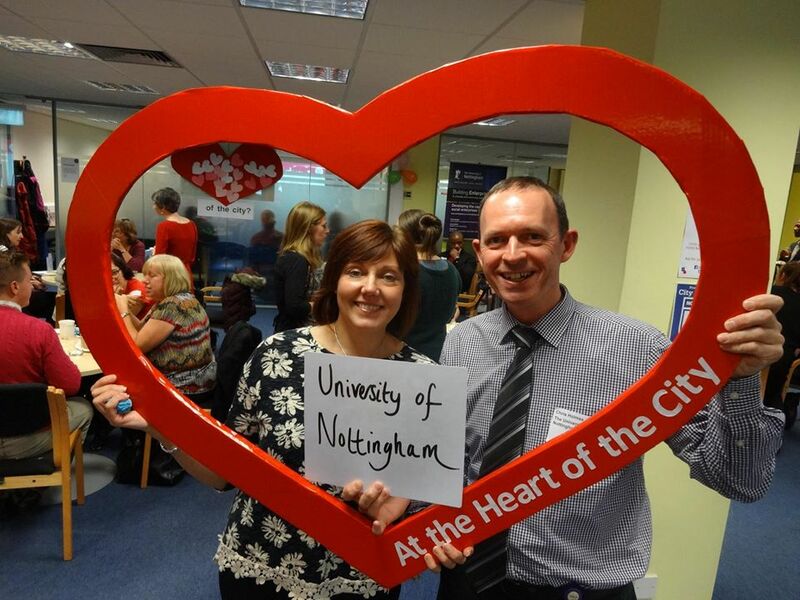 The theme of the event was ‘At the Heart of the City’ and it is true that the NCVS has been at the heart of Nottingham’s community and voluntary sector for almost 140 years offering support, training, advice and brokering volunteers to community groups throughout the city. Organisations were also encouraged to say how they themselves and their volunteers and staff form part of that heart. The day began with coffee and heart-shaped sweet and savoury biscuits kindly made by NCVS staff volunteers; immensely welcoming after the battle in through heavy rain and very strong winds! A welcome was provided by Helen Kearsley-Cree, the Chief Executive of NCVS followed by a keynote speech from Lyn Bacon, Chief Executive of Nottingham CityCare Partnership (NCCP), which clarified how the NCCP sits alongside the voluntary sector and the NHS. An excellent choice of 12 breakout sessions throughout the day ensured there was something of interest to everyone, from how to access volunteers to understanding European funding. The University of Nottingham was delighted to be able to sponsor this event and also to have the opportunity of speaking to delegates about the work of our Student Volunteer Centre, advising on how programmes developed by Community Partnerships can support community organisations and social enterprises and also what the University offers for mature learners. It was a very well organised and valuable event. Thanks NCVS and thank you for continuing to be at the heart of the community and voluntary sector in Nottingham. Long may you reign!